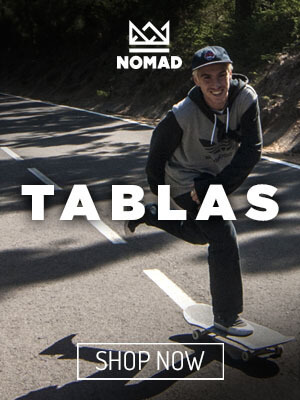 From Nomad Skateboards we are pleased to announce the launch of our new skateboards with Double Impact technology, the same used in some models manufactured for brands made in DSM, especially the Dwindle group. 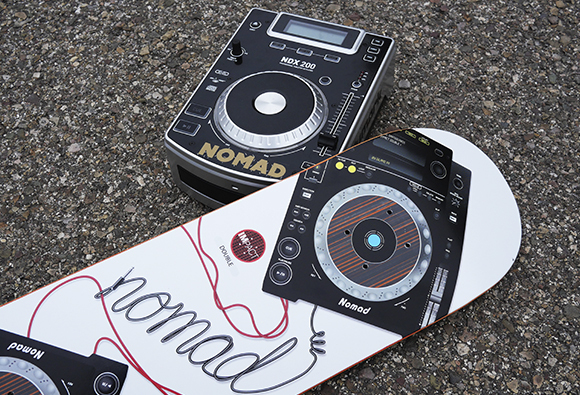 It is a Limited Edition of 100 decks in measures 8.0 “, 8.09” and 8.25 “, and is already available both in catalog and on our website nomadskateboards.com. This technology consists of reinforcing the 8 plies of Canadian maple wood with two laminated discs of carbon fiber that are strategically placed in the areas of highest stress of the deck, corresponding to the areas on the trucks. By means of this construction a harder and more resistant deck is obtained, with which in addition to considerably increasing the pop of the same one, and the time of duration of this as well. DSM Manufacturing is the company that makes all the brands marketed by Dwindle Distribution. 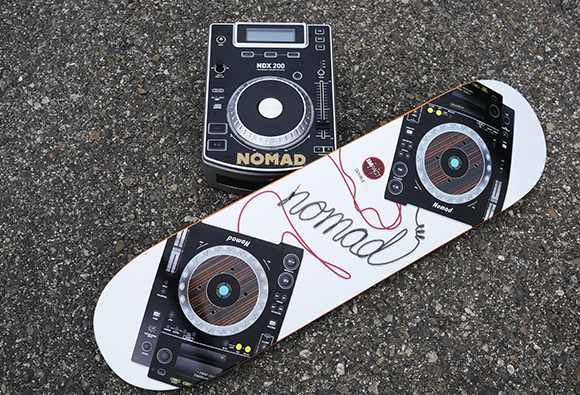 The Double Impact series began to be produced in 2010, and what was initially experimental, in the end it has become a very limited production only for subsidiary or trusted brands, through DSM Manufacturing, which since last year It is also the manufacturer of all Nomad Skateboards decks. The construction in Epoxy Resin 6, and the carbon discs, allow to offer a 45 days guarantee against breakage. DSM imports its own wood, which is made up of logs from the region of the great lakes of North America; With this, we have complete control of the product that the customer enjoys, ensuring quality, consistency and durability according to the demands we have in our company. 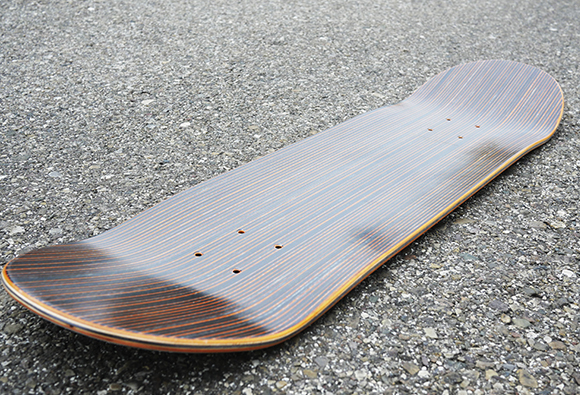 DSM developed its own epoxy resin system focused directly for the manufacture of skateboards. 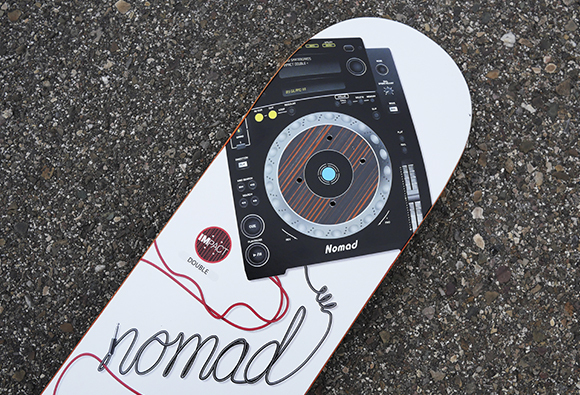 Which made them the only decks currently on the market made with this epoxy. Epoxy is an incredibly aggressive bonding agent that is completely different from the standard, water-based glues. 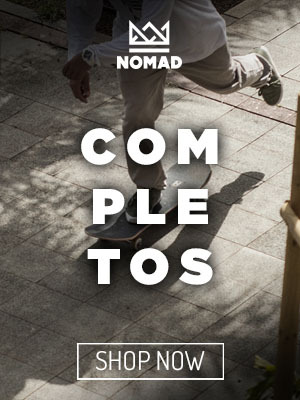 We remind you that if you register in our database and you are part of the Nomad family we will send you an exclusive discount of 15% to acquire any of these skateboard decks that are currently available in our stock.